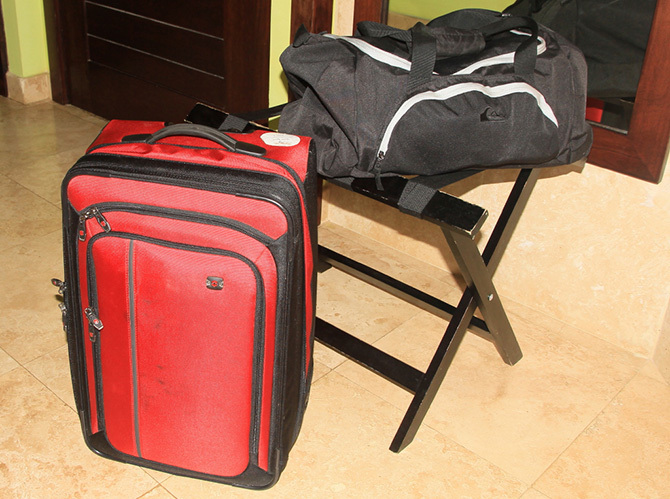 When picking luggage for your trip to Costa Rica, you will need to think about how long a trip you have planned and what is involved. If your trip includes visiting Tortuguero, whitewater rafting, or otherwise involves domestic flights or boat trips, then you will need to have a bag which can be filled with up to 40lbs of stuff for two to three days while the bulk of your luggage waits for you in storage with us or with your hotel. Rolling bag: This is where you will pack everything before leaving your home. It should be big enough to fit the full complement of clothing for your trip, and to hold your duffel bag (try shoving it in the outside pocket). We recommend the lightest and smallest possible; make sure to take a look at the “What should I pack?” section before picking out your roller, as this will give you a good idea on what size suitcase or bag you will need. In an ideal world it would be medium to small. Duffel: The duffel is your 40lbs bag. You will make use of it on overnight rafting trips or when you take in country flights with the goal of spending 2-4 days in a certain part of the country. You will be able to fill it up with the necessary items and leave the rest in your big bag, which will be stored until you return. Since we recommend packing your duffel in your rolling bag, look for one that won’t take up too much space. Backpack: This is the bag you will be taking on your daily expeditions, this is going to be especially important if you have hiking planned for your trip, but will always be useful. If you are unsure how big a backpack you will need, there is advice for what to carry in your day bag in the “What should I pack?” section. Again, it is important to think about what kind of a trip you have planned when making these choices. If you are staying in just one or two places on the beach, with very limited movement, then you can probably get away with a single bag or far less luggage. If you are on one of our tours, or have planned your own multi destination, adventure filled vacation with flights and lots of van rides, then the three bag system described above is what our long experience has shown to work best.